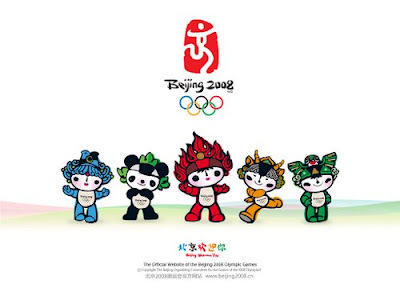 After a long an awaited moment, the BEIJING OLYMPIC 2008 has arrived! Stayed home tonight just to witness the grand opening ceremony of the great olympics. Heard so much about the preparation for the Olympics. And all I can say: CHINA, YOU THE MAN! I've never seen anything so amazingly different yet entertaining. 080808 surely is a date to remember about the Chinese. Great effort, well paid of. I'm so flabbergasted by the opening, I'm actually watching the repeat, again. I'm just awed. Initially, I didn't have the mood for Olympics, but after witnessing man's greatest creation, I've got the Olympics fever. Religiously, I shall watch the games from today onwards. They covered everything from synchronization, to every great detail possible. The ceremony has surely depicted China at its best from the historical and cultural aspect. Everything was just awesome and unique! It was a perfect start to welcome a very prosperous moment. Those who have not watched the opening, I suggest you go youtube it. It's worth it. No joke!